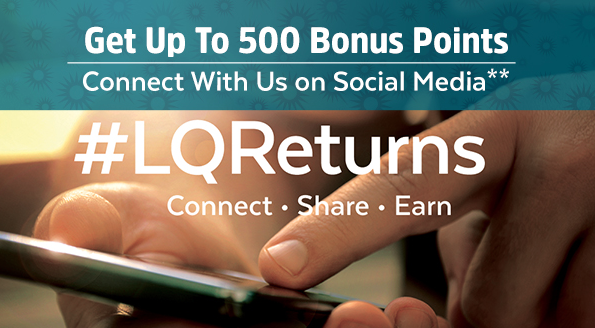 La Quinta Returns has brought back their offer of earning up to 500 points for free by connecting to their social media accounts. 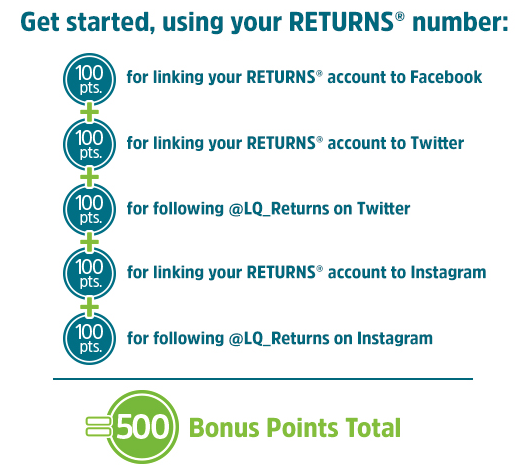 If you did not take advantage of the same offer from last fall now is your chance to score those free points! If you add up the totals it actually appears you can 550 points as they'll give you 50 points for Tweeting or Instagramming with their hashtag.